2 designs in 1 pattern! A super cute combo kimono and blanket are just the thing for Baby in simple lace and the softest yarn. The cardigan is worked sideways for the main body. Sleeves are picked up from the armholes and worked in the round to cuffs. 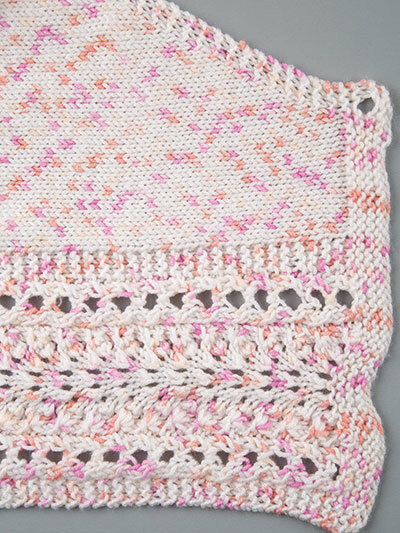 Knit with DK-weight yarn using U.S. size 6/4mm needles. Design was originally published in Creative Knitting Spring 2019. Chest: 17 (19, 21, 22)"